Lalmin® mineral and vitamin yeasts are inactivated whole cell yeastYeast is a unicellular fungus that can convert sug... More (Saccharomyces cerevisiaeSaccharomyces cerevisiae is the name of a strain o... More) product containing elevated levels of specific mineralsMinerals are elements that originate in the earth ... More and/or vitaminsVitamins are a type of organic micronutrient that ... More. Lalmin® is produced either by enhancing and converting the natural endogenous vitamin of the yeastYeast is a unicellular fungus that can convert sug... More, or by supplementing the natural yeastYeast is a unicellular fungus that can convert sug... More fermentation with measured levels of mineralsMinerals are elements that originate in the earth ... More and/or vitaminsVitamins are a type of organic micronutrient that ... More. The yeastYeast is a unicellular fungus that can convert sug... More cream is then pasteurized and dried. This process allows selected micronutrientsMicronutrients are nutrients that are required in ... More to interact with the yeastYeast is a unicellular fungus that can convert sug... More cell components. 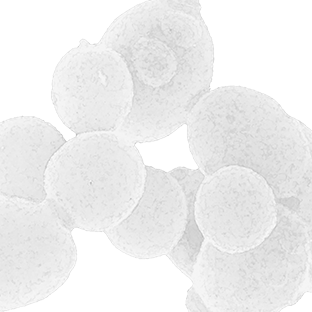 The gentle processing conditions allow preservation of essential nutrients from yeastYeast is a unicellular fungus that can convert sug... More. This is a unique natural yeast-based (Saccharomyces cerevisiae) solution formulated with Lalmin® natural yeast-based ingredients that contain elevated levels of Selenium, Zinc, and B-Complex Vitamins. 500 mg of Lalmin® Beauty provides an essential amount of these highly bioavailable micronutrients, which help maintain normal hair, nails, and skin and protect cells from oxidative stress. Suggested market positioning: in nutricosmetics for healthy hair, nails and skin; anti-oxidant, anti-ageing, sun protection. This is a unique natural yeast-based (Saccharomyces cerevisiae) solution formulated with Lalmin® natural yeast-based ingredients that contain elevated levels of B-Complex, Selenium, Zinc, and Chromium. 500 mg of Lalmin® Combi provides significant amounts of these highly bioavailable micronutrients, which are essential in supporting optimal health and maintaining the quality of life. This is a unique natural yeast-based (Saccharomyces cerevisiae) solution formulated with Lalmin® natural yeast-based ingredients that contain elevated levels of selenium, glutathione-rich yeast, and yeast cell walls rich in β-glucans. 500 mg of Lalmin® Detox provides significant amounts of these highly bioavailable nutrients, which protect cells from oxidative stress and help the functioning of the immune system. This is a unique natural yeast-based (Saccharomyces cerevisiae) solution formulated with Lalmin® natural yeast-based ingredients that contain elevated levels of selenium, vitamin D and yeast cell walls rich in β-glucans. 350 mg of Lalmin® Immune provides significant amounts of these highly bioavailable nutrients, which help the functioning of the immune system. This is a unique natural yeast-based (Saccharomyces cerevisiae) solution formulated with Lalmin® natural yeast-based ingredients that contain elevated levels of B-complex vitamins and vitamin D. 500 mg of Lalmin® Senior provides significant amounts of these highly bioavailable nutrients, which reduce tiredness and fatigue, help mental performance and cardiovascular health, and help maintain normal bones, teeth and normal psychological, immune, and nervous body functions. Vitamin D exists in two forms: vitamin D2 (ergocalciferol) of plants & fungus origin and vitamin D3 (cholecalciferol) of animal origin (from precursor sterol present in the skin when exposed to sunlight). The human skin has the ability to synthesize vitamin D, but several factors limit this natural body reaction: public health messages recommend keeping out of the sun and aging reduces the skin’s ability to synthesize vitamin. In northern latitudes, the strength of the UVB rays is often insufficient to stimulate vitamin D synthesis. Food could be viewed as a source of vitamin D, but this vitamin only occurs naturally in a small range of food and often in small amounts. Vitamin D deficiency results in abnormalities in calcium and phosphorus, and bone metabolism leading to bone health problems such as rickets in children and osteomalacia in adults. This is a unique natural yeast-based (Saccharomyces cerevisiae) solution formulated with Lalmin® yeast-based ingredients that contain elevated levels of B-Complex Vitamins, and yeast rich in Nucleotides. 500 mg of Lalmin® Vitality/Sports provides significant amounts of these highly bioavailable nutrients, which stimulate muscle protein synthesis; reduce tiredness and fatigue; help maintain the normal formation of red blood cells and cell division; protect cells from oxidative stress; and help the functioning of the immune and the nervous systems.